The university has recruited Donald K. Stern, a former U.S. Attorney for the district of Massachusetts, to review Tufts’ relationship to the Sackler family and its pharmaceutical company, Purdue Pharma, according to an email the Office of President Anthony Monaco sent this morning to the Tufts community. Tufts has a long-standing relationship with the Sackler family. The university received multiple gifts from the Sackler family, including a 1980 endowment that established the Sackler School of Graduate Biomedical Studies, as well as the Arthur M. Sackler Center for Medical Education, according to Monaco’s email. The Sackler family also funded the Master of Science in Pain Research, Education & Policy (PREP) degree program within the Sackler school, according to a Jan. 15 memorandum from Massachusetts Attorney General Maura Healey. The nature of this relationship has been called into question in the wake of recent litigation and controversy over the role that the Sackler family and Purdue played in the emergence of the opioid epidemic. According to the Centers for Disease Control and Prevention, more than 200,000 people have died from overdoses involving prescription opioids since OxyContin, a painkiller manufactured by Purdue Pharma, came to market in 1996. Massachusetts Attorney General Maura Healey brought a lawsuit against Purdue Pharma in June 2018, according to the New York Times. The Jan. 15 memorandum detailed the state’s case against the company and the Sacklers. In the document, Healey accuses the Sackler family and Purdue of pushing doctors to prescribe OxyContin at higher doses and for longer periods despite knowing that this put patients at a higher risk of addiction and overdose. The cities of Medford and Somerville both filed lawsuits related to the case. Specifically, Medford is suing the Sackler family while Somerville will sue Purdue Pharma and other companies. In addition, according to CNN, more than 600 municipalities and Native American tribes have sued Purdue in federal court. Healey’s case against Purdue and the Sacklers involves Tufts’ relationship with the family. The memorandum cites the family’s “intense relationship” with Tufts as an effort to promote Purdue’s products. The memorandum devotes particular attention to Tufts’ PREP program, which it alleges was influenced by Purdue Pharma to use the university as a platform to convince doctors to use its products. Purdue responded to these allegations in its motion to dismiss, quoted in a March 4 Daily article. The company denied the claims put forth by Healey and the Commonwealth of Massachusetts, asserting that the links between the company and the opioid epidemic were fabricated and sensationalized. According to the article, a group of students met with the administration earlier this month to discuss the issue in person. The email from Monaco references the concern of the Tufts community. Stern, who is employed by the law firm of Yurko, Salvesen & Remz, P.C., will review “the activities of the PREP program and other programs related to opioids that received funding from the Sackler family, the Sackler family foundations, and Purdue Pharma,” according to Monaco’s email. 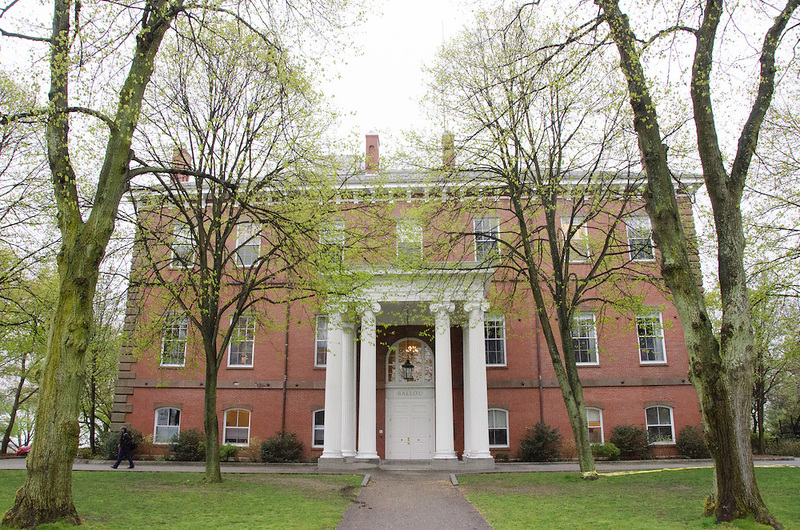 The email states that Stern will determine if the relationship was within Tufts’ policies and best practices. According to Tufts’ Executive Director of Public Relations Patrick Collins, following the review, Stern will present his findings to a group of academics drawn from inside and outside the university, and together Stern and this group will produce recommendations for the university. The email specifies that the final recommendations will be shared with the Tufts community and says that changes to Tufts’ existing relationship with Sacklers will be made if needed. Critics of Tufts’ relationship with the Sacklers found positives in the announcement of the review but were quick to highlight what they saw as its limitations. The advocacy group Sack Sackler, which is comprised of a dozen or so undergraduates, graduate students and alumni of Tufts, according to member Nathan Foster (LA ’18), wrote in a statement posted on the group’s Facebook page that the investigation will delay action that they believe should be taken. “We simply do not need to wait on [the outcome of Stern’s investigation] to take decisive steps — President Monaco’s reluctance to act comes across as delay, not deliberation,” the statement reads. Senior Jonah O’Mara Schwartz, a TCU Senator and co-author of the resolution calling for transparency, agreed, explaining that Tufts knows enough from the Healey memorandum to act now. “I would argue that even a lot of the current evidence that’s been released from the Maura Healey investigation warrants removing the Sackler name from some of the buildings,” O’Mara Schwartz said. Collins explained that there is no concrete timetable for the review. “Mr. Stern has been told to take the time that he needs to conduct a thorough and comprehensive review,” Collins said. As reported by The Guardian, Columbia University and the University of Washington have both announced that they have stopped accepting gifts from the Sackler family. In fall 2017, the University of Washington ended a postdoctoral program funded by the Sackler family, according to Crosscut. Collins said that the Tufts review will not be influenced by the decisions of its peer institutions and will only focus on the university’s own relationship with the Sacklers and Purdue.